on Saturday, March 23, 2019. The 7th Annual Meeting of the Kentucky Chapter of the American Physiological Society will be held on Saturday, March 23, 2019 at Northern Kentucky University in Highland Heights, KY. The day will include scientific sessions with presentations by trainees and invited speakers, career development lectures and the annual business meeting. It will end with a judged poster session followed by a brief awards ceremony. 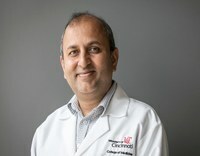 Ameet Chimote, Ph.D. is currently a Research Associate in Dr. Laura Conforti’s laboratory at the University of Cincinnati, where he studies the role of ion channels in T lymphocyte function, primarily in the context of solid tumors. Dr. Chimote has obtained his degree in Medicine from the University of Nagpur, India and completed his doctoral training at Wright State University in Dayton Ohio where he studied ion transport physiology in disease causation under the guidance of Dr. Peter Lauf. Subsequently, in 2010, Dr. Chimote joined the University of Cincinnati as a postdoctoral fellow in Dr. Conforti’s laboratory and then transitioned to the position of Research Associate in 2015 and is currently continuing with his translational research. Dr. Chimote’s research focuses on how ion channels contribute to the ineffective immune surveillance by T lymphocytes in solid tumors. Specifically, his work focuses on the response and adaptation of ion channels in T lymphocytes to the tumor microenvironment, especially to tumor hypoxia and increased concentrations of adenosine. For his research, Dr. Chimote has been recognized by awards by the American Physiological Society, American Association of Immunologists, Ohio Physiological Society, and Ohio River Valley Flow Cytometry Association and has presented his work at national and international meetings. In 2018, Dr. Chimote was featured as a “Cell Culture Hero” by GIBCO, a recognition awarded to chosen young scientists in the field of cancer research and was invited to present a research webinar viewed by global audience. In addition to his research responsibilities, Dr. Chimote is passionate about mentoring young STEM students in the laboratory and about science communication and outreach. Please make checks payable to "Kentucky Chapter of the American Physiological Society" the day of the event. To participate in the judged poster session, abstracts must be submitted by Monday, March 18, 2019. The poster session will be judged with awards being given for best undergraduate, graduate and postdoctoral presentations. Poster size must not exceed 36" tall x 48" wide. This interactive map has a pull down menu that allows people to get directions by putting in their location and destination (e.g. Kenton Drive parking garage). If coming from the south on I-71/75N, use exit 185 for I-275E. Then take exit 76 and turn right onto 3 Mile Rd. At the traffic circle, continue onto University Drive. At the traffic light, turn right onto Kenton Drive. Continue on Kenton Drive until reaching the Kenton Drive Parking Garage on the right. Click here for a MAP and DIRECTIONS to the Northern Kentucky University. If there will be anyone coming from the north on I-71 or I-75, contact Denise for additional directions. The location of the meeting will be the Herrmann Natural Science Center, which is number 12 on this map. Parking for the meeting will be in the Kenton Drive Parking Garage, which is number 36 on this map.